Modern marketers can hardly imagine a marketing strategy without running a Facebook page. 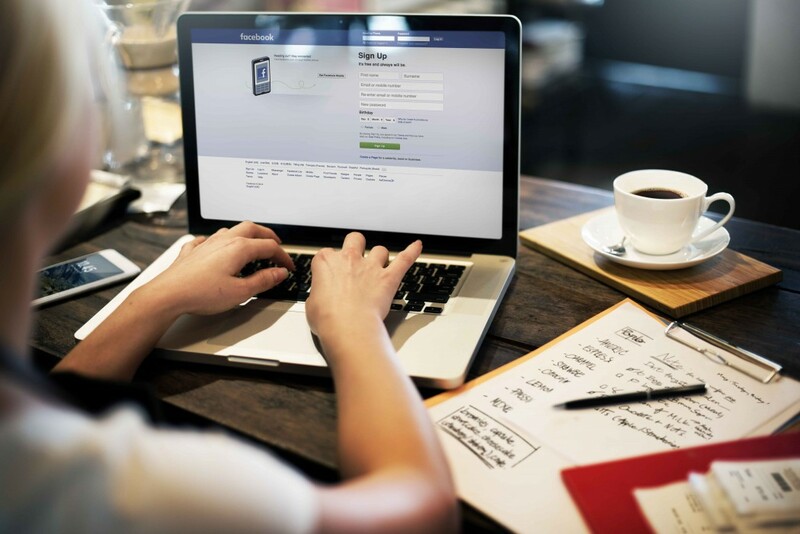 According to one research, over 50 million active small businesses run fan pages on Facebook. More and more brands set foot in social media marketing, but just a few of them know how to run a brand page that grabs audience's attention and, therefore, helps to improve ROI. While the primary task of a brand page is to create strong brand positioning and awareness, it's important to understand how to use Facebook the right way. When it comes to social media marketing, Facebook can give you even more if you know how to grab and hold your audience's attention. To begin with, you need to create an informative Facebook page that can help your subscribers dig into your product if needed. Thus, add relevant information, contacts, short info about your brand/company and its aim, and don't forget to promote your service or product as it's your primary goal. Add a "Call-to-action" button: Facebook has an opportunity to insert a call-to-action button that can help you promote your business. Ask your fans to register on your website, subscribe to the newsletter, or buy a product. Post product publications: A good social media strategy includes 30% of product publications. Your aim is not to bother audience with self-promotional materials but tell them more about the benefits that they can get with your product. If you can satisfy your audience's needs, they will never forget you. If you want to drive traffic, increase the number of your subscribers, and expand your social network, think about creating viral content. You can call the content viral if people want to share it with their friends and it gets huge organic reach. More often than not, viral content is engaging, funny, and interesting. For example, 'Pokemon Go' went viral within 24 hours, and it's just one successful story. As a social media marketer, you can give everything a try! Just post something worth reading and observe your audience reaction. Facebook puts visual content first, so images and videos have more chances to be interesting for the audience. Once you get what goes viral among your target audience, you will attract more and more visitors. Images play a big role in marketing as they help to communicate better, and people perceive visual information with ease. Almost every Facebook post includes photos. Most marketers know about it, and they're trying to post photos daily. People are fed up with free stock photos. Obviously, this type of content is popular among marketers as you can get a high-quality image without making much effort. However, the truth behind is that such photos are too artificial to cause emotions. Therefore, you need to use original photos and images to attract people's attention: take photos yourself, hire designers, or make a professional photo session. Moreover, modern social media trends claim that mobile photos are getting more and more popular, so you don't have to post professional images to grab people's attention. Just be sure to post something emotional. Subscribers can promote your product even without knowing it. Some of them post content that includes product placement, and it's your chance to kill two birds with one stone: attract the attention of your subscriber and boost organic reach on Facebook. If you publish content that was made by your subscribers, it's more likely they will feel their value and, therefore, it can become a reason for sharing it with their community. The more people share your content, the better it's for the organic reach. However, you need to be picky about what you post: avoid publishing abusive content, spam, and you'd better ask the photo owner for the permission. Around 95% of Millennials want brands to have a page on Facebook. It's easier to drop a line via messages than reach out customer support via live chat or calls. Your fans may ask you questions about your product or service, react to your publication, but you need to keep in touch with them. Moreover, the faster you reply to their comments, the better it is for your business. People value when you listen to them, so reply quickly and earn their respect. One of the social media trends is messenger bots, and they allow you to set up some replies to be sent once a FAQ is asked. Plus, they reply fast which improves your trust. Using these bots helps to understand that you put customers first and take care about their time and interest in your company. One of the best (and natural) ways to drive traffic to your Facebook fan page, increase the number of fans, and build brand loyalty is to run an engaging contest. Once you have decided to publish a contest, think about its mission (to collect data, increase reach, promote a new product, etc.) and choose the type that can help you achieve this goal. To hold a Facebook contest that can drive good results for your business growth, you need to avoid making most common mistakes. Learn from other brands, analyze the pitfalls, and make the most out of running contests on Facebook. But the best tip for you is not to forget to announce the results. Otherwise, you decrease the respect to your company. Brand page analysis helps to improve your content strategy, adopt the most actionable techniques, and get more likes and shares which mean expanding your audience. If you pay attention to Facebook metrics, you can understand what types of content work well for your audience and what posts cause the buzz. Doing an analysis is a good way to improve your strategy and make the most out of it. Let your audience help you create the best content which can suit their expectations and needs. All customers value when a brand can solve their problem fast, and quick response gives a service advantage. Although it's hard for an SMM manager to monitor messages box 24/7, there is a good way out that helps to suit your customers' needs. You can code a bot that gives replies to most answers without an interaction with the human. It gives you a huge benefit as you solve your customer's problem fast! Nowadays it's nearly impossible to promote your fan page without investing money. As the number of content is growing rapidly, every marketer tries to reach his target audience. We all know that Facebook can't post everything equally, so the algorithm prioritizes paid posts. What is more, Facebook advertising without a strategy gives you nothing but expenses. Living in the digital era, we can do a lot, sitting at home. If you run a brand page that takes part in different events, it's easy for you to post live-streams that would help people attend them. Share a short video to interact with the audience. Moreover, it's a good idea to combine offline and online marketing. 360-degree photos are popular among Facebook users as they help to see more than average photos show but such images help to save time at the same time. If watching videos is time-consuming, you don't need much time to look around you with the help of 360-degree photos. Thus, post this type of content to increase the interest to your fan page. If you believe that the best way to attract the audience's attention to your fan page is regular posting, you're wrong. A proficient SMM managers use other tools to attract more subscribers and they comment content that is published on Facebook. People love smart commenting, and when you post something interesting, funny and up-to-date in a comments section, you can hook more people. If you want to make the most out of running Facebook page, do your best to grab your audience attention. There is no better way to boost traffic and reach than attract new subscribers with the help of your existed ones. Thus, pay attention to the above-mentioned tips, and don't forget to stay creative – there are many little-known ways which might help you take benefit from your fan page. Do you have your tip on running a fan page? Share with us in the comments below.